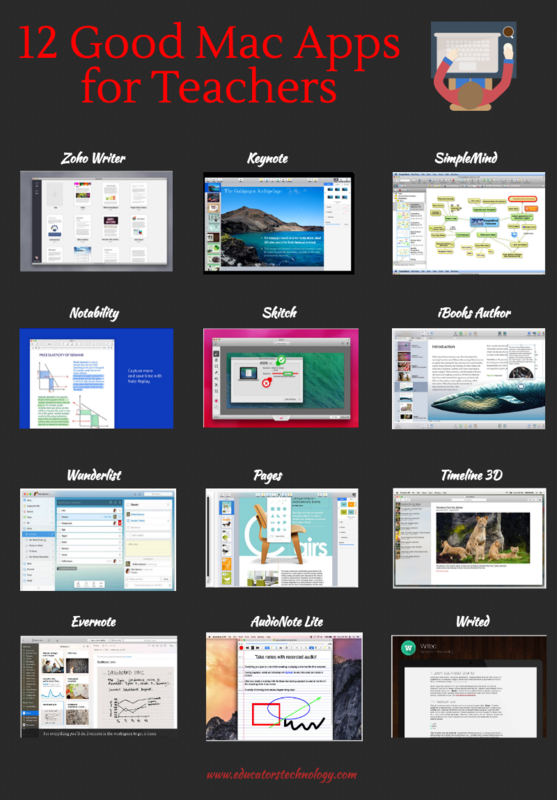 Looking for some good Mac apps to try out with your students in class? The collection below is a good place to start with. We have handpicked for you a list of what we think are 12 helpful applications you can use to do a variety of digital tasks. These include: taking notes, creating mind maps, taking and annotating snapshots, design iBooks textbooks and e-books, create and manage to-do lists and tasks, make beautiful multimedia timelines, make your own flashcards, and many more. And since the visual is not hyperlinked, we added the links below to make it easy for you to access the featured apps.